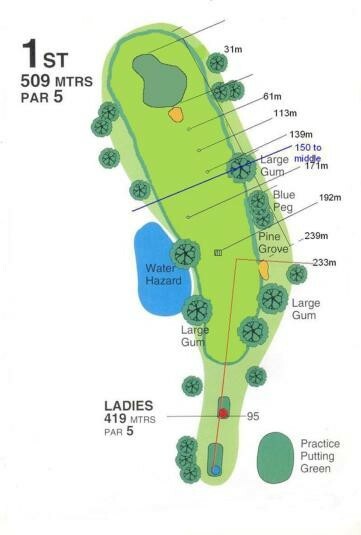 From the back tee this 509m Par 5 is a true 3 shot par 5, with a wide fairway and only one fairway bunker. From the position of the second shot, it is advisable to travel down the left side for a better chance of approaching the green without bother. Coming at it from the right-hand side might present some difficulty, depending on the position of the flag.